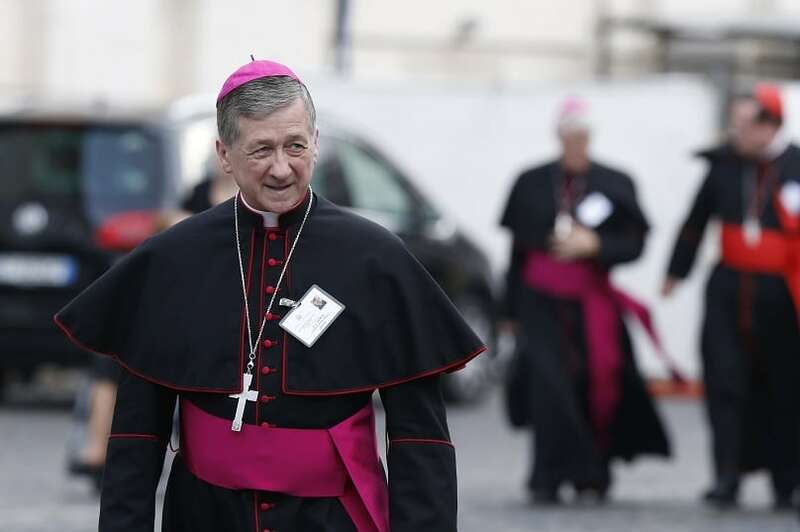 Archbishop Blase Cupich of Chicago arrives for a session of the Synod of Bishops on the family at the Vatican on 14 October. Photo: CNS photo/Paul Haring. Reports and Commentary, from Rome and Elsewhere, on the XIV Ordinary General assembly of the Synod of Bishops. “[People must] come to a decision in good conscience … Conscience is inviolable and we have to respect that when making decisions and I’ve always done that”. The archbishop thus brought to light one of the crucial issues-beneath-the-issues at Synod 2015: the question of conscience, its nature, its relationship to truth, and its prerogatives. In order to deepen that debate, we offer here an alternative to the position taken by Archbishop Cupich, who, while not speaking for others, certainly reflected a view heard at the Synod. “Conscience is a stern monitor, but in this century it has been superseded by a counterfeit, which the eighteen centuries prior to it never heard of, and could not have mistaken for it, if they had. It is the right of self will … the right of thinking, speaking, writing, and acting, according to [one’s] judgment or [one’s] humour, without any thought of God at all … [such that it is the] very right and freedom of conscience to dispense with conscience”. “[Conscience is] the highest of all teachers, yet the least luminous … [because] the sense of right and wrong, which is the first element in religion, is … .so easily puzzled, obscured, perverted … so biased by pride and passion, so unsteady in its course”.